Football. America’s most popular sport. Most of us who will watch the game on Sunday will look for big plays from stars like Rob Gronkowski, Fletcher Cox, and Tom Brady. However, we will pay little attention to the chess match occurring between the men roaming the sidelines. In our star-driven sports leagues, we often miss the valuable lessons that great coaching can teach us. The way a coach runs a team can be a great model for how a small business owner runs their organization. As Super Bowl LII approaches, let’s see what we can learn from three of the greatest masterminds in NFL history. 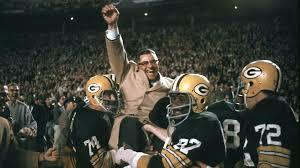 Lombardi’s Packers dominated the NFL in the 1960s, going 98-30-4 and winning five championships in nine seasons. From day 1, Lombardi made his players commit to excellence. He established a culture of winning in Green Bay, bringing in veterans like Emlen Tunnell to provide the necessary leadership, and jettisoning players who didn’t fit his mold. He brought attention to detail, spending hours watching film to gain an advantage, and expecting his players to do the same. More than anything, he communicated to his team that he expected hard work, dedication, and discipline from them, and embodied all of those qualities himself. The success of his strategy is plain to see. Lombardi’s success was built on a culture of hard work, determination, and “individual commitment to a group effort.” Your small business should be, too. There was nothing innovative about Vince Lombardi’s offense. It relied on a power run game and efficient passing, just like most offenses of that era. Your coffee shop relies on great coffee and a warm atmosphere, just like most coffee shops of today. So what will make you successful? Communicating your vision to your employees in a clear way. Being the type of worker you expect your employees to be. Creating buy-in by rewarding exceptional performance. In short, a winning culture. Before becoming Green Bay’s head coach, Vince Lombardi was the offensive coordinator for the highly successful New York Giants. He won two championships with New York in four seasons. At his first team meeting as Packer’s head coach, Lombardi famously looked around at his players and told them “I have never been on a losing team, gentlemen, and I do not intend to start now.” Sure enough, the Packers would never have a losing season under Lombardi. 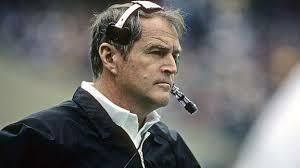 In 1969, Chuck Noll became head coach of the Pittsburgh Steelers, a franchise that had been around for 36 seasons, and only had a winning record in eight of them. They had never won a championship. They had never even won a playoff game. However, over the course of four seasons, Noll turned the Steelers from losers into winners. He accomplished this by emphasizing fundamentals. He spent time in practice focusing on things like footwork, stances, and proper tackling, things you wouldn’t expect professional football players to need much brushing up on. He was famous for emphasizing that football is about blocking and tackling, and avoiding the media spotlight both during his career and after retirement. He also developed a defensive scheme that built the Steelers into 4-time Super Bowl champs in the 1970s. In all things, Chuck Noll was controlled, intellectual, and understated. Noll brought a singularity of purpose to the Pittsburgh Steelers that the franchise had never known. In emphasizing the details, he focused his players on one goal: winning. Everything else he tuned out. This is a valuable lesson for small business owners. The best companies aren’t always the ones that are constantly innovating, or continuously pivoting to explore new opportunities. They capitalize on their current opportunities by focusing on fundamentals. Quality products. On-time deliveries. Customer service and retention. Consistency and efficiency. These are the things that make a business successful long-term. There aren’t many quotes from Chuck Noll on the internet. As a coach, he wasn’t a motivator, and he wasn’t one for long-winded speeches. He didn’t give many interviews with the media. He let his work speak for itself. 23 years, 209 wins, and 4 Super Bowls later, he quietly rode into the sunset as one of the NFL’s all-time greats. In case you haven’t heard, the New England Patriots are in the Super Bowl again. This isn’t just the second time in two years. This is the eighth time since 2000, when Bill Belichick became their head coach. This was the 16th time in 18 seasons that the Patriots finished with double-digit wins. This nearly-unparalleled level of success can be attributed the Belichick’s simple, but profound philosophy: “No Days Off.” After winning his fifth title last year, Belichick pointed out that “as great as today is, in all honesty, we’re five weeks behind 30 teams in the league in preparing for the 2017 season.” Belichick wasn’t about to take time reveling in his massive success. He didn’t want to. He was ready to get back to work. We all need time to rest. However, business owners simply can’t afford as much time as most people. To successfully build a company from the ground up, it takes a type of drive and work ethic that most of your friends might see as crazy. But to you, it may not even seem like work. “I don’t see this as work, this actually beats working,” says Belichick. The old adage goes something like “if you do something you love, you’ll never work a day in your life.” Of course, even the most passionate of entrepreneurs have those days when running a business feels like a grind of epic proportions. But few would trade it for something else. 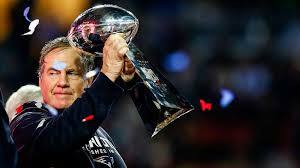 Belichick is preparing to coach in a Super Bowl for the eleventh time in his career, his eighth as a head coach. Over the course of his storied tenure, he has never taken his foot off the gas pedal. Most coaches would have retired by now, being satisfied with their millions of dollars and notoriety. But some live for the grind, and wouldn’t be happy doing anything else. Owning a business isn’t always as clear-cut as coaching a football team. However, just like movies, sports are often a great metaphor for life. There are valuable lessons to be learned, both from playing, and from watching the great ones. For small business owners especially, many of the traits that win out in sports, win out in life. So as you watch on Sunday, don’t merely be a spectator; be a student. There’s plenty to learn out there. An outreach program of the Iowa State University College of Business and the ISU Office of Economic Development and Industry Relations. Copyright © America's SBDC Iowa | All Rights Reserved.